I saw this today… Lust is a Lie from the pit of hell! Hmmm. Lust is not a lie; lust is simply having a very strong sexual desire for someone. Everyone may have experienced this. Its how you react to lust that makes you question yourself. Someone may have said to you, you don’t love them, what you’re feeling is Lust. 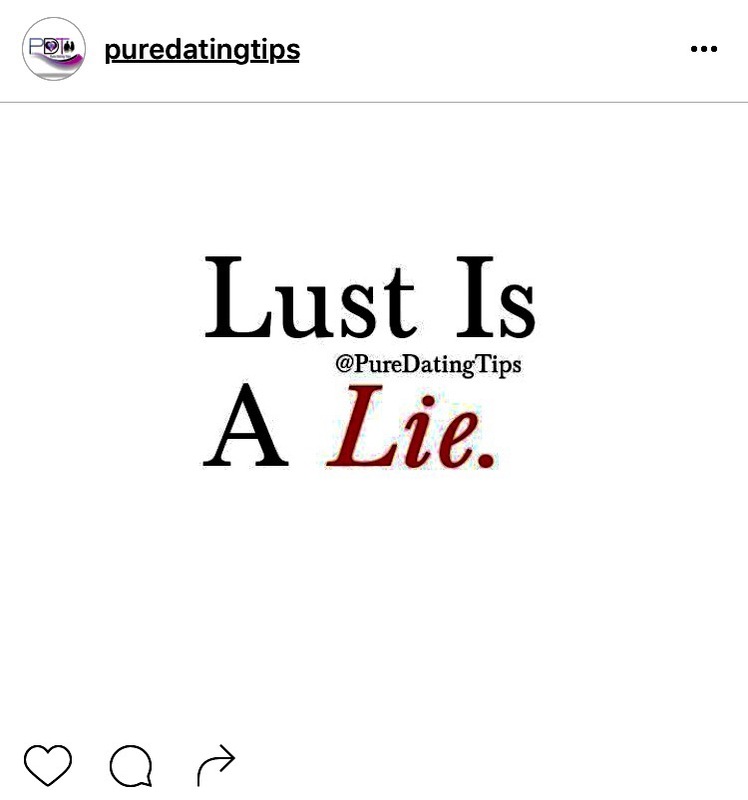 Lust is not love. It wasn’t designed to be labeled as Love. Don’t have guilt about lust. Don’t question it. It is what it is; simply Lust.